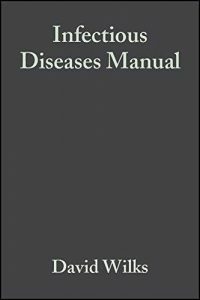 The volume belongs to the series “Topics in Anaethesia and Critical Care”, edited by Prof. Antonino Gullo. 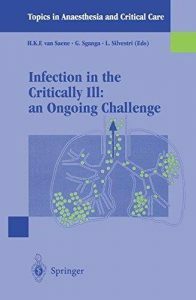 The titles of this series deal with different topics of critical care medicine. Aim of the volume is to describe the management of infections, in particular, the diagnosis and treatment of pneumonia in the Intensive Care Unit; the book also deals with the management of antimicrobial resistance and on microbiological studies in critically ill patients. 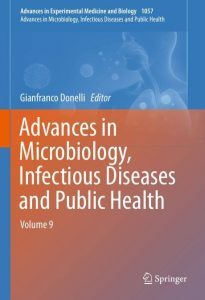 Despite 50 years of antibiotics, infection remains a major source of both morbidity and mortality. 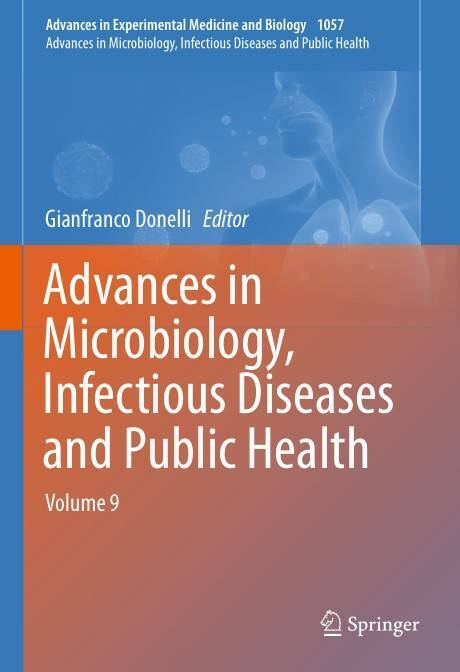 Immunosuppression, either secondary to drugs in transplant recipients or secondary to HIV, has expanded the number of microorganisms that are known to be pathogenic in man. Imaging of infection has a vital role both in the initial diagnosis and in the continuing management of patients with infection or suspected infection. 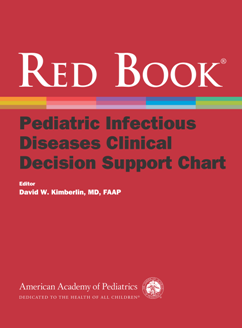 Functional imaging using nuclear medicine techniques has a unique role to play in identifying sites of infection in a wide range of patients with varying clinical conditions. 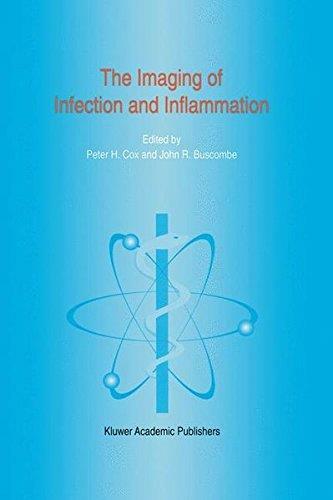 This book, written by a series of experts not just in the fields of nuclear medicine but also infectious disease and radiology, discusses the role of nuclear medicine in three parts: a review of the pathophysiology of infection; a technical description of those nuclear medicine techniques which can be used in imaging infection; an extensive systematic review including thoracic, abdominal and orthopaedic infection as well as a special section on the acutely ill patient, the immunosuppressed patient and the patient with pyrexia of unknown origin. 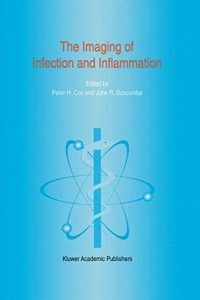 This book will be of interest to all clinicians looking after patients with infection and who need to use imaging techniques. It will also be of use to radiologists and nuclear medicine physicians who will be using these techniques clinically. 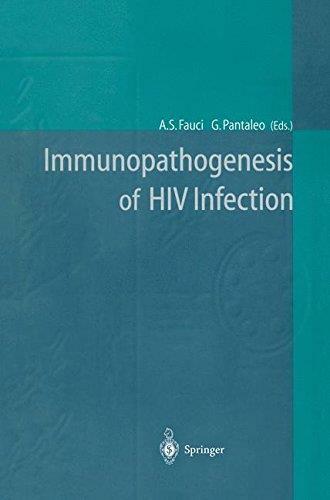 During the last 5 years, major advances have been made in our understanding of the pathogenesis of human immunodeficiency virus (HIV) disease and in the development of new potent antiviral agents. With regard to HIV pathogenesis, several recent observations have not only changed our perspectives of HIV disease, but have been critical for the design of therapeutic strategies. These oberservations include: 1. The delineation of the virologic and immunologic events associated with primary HIV infection. 2. 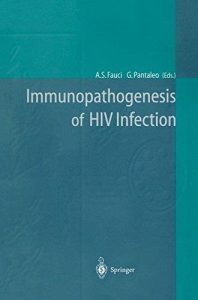 The development of highly sensitive molecular techniques including polymerase chain reaction (PCR) assays for the determination of HIV RNA in plasma, together with the identification of lymphoid tissue as the primary anatomic site for HIV replication and spreading. 3. 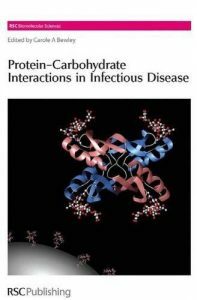 The characterization of the dynamics of HIV infection. 4. 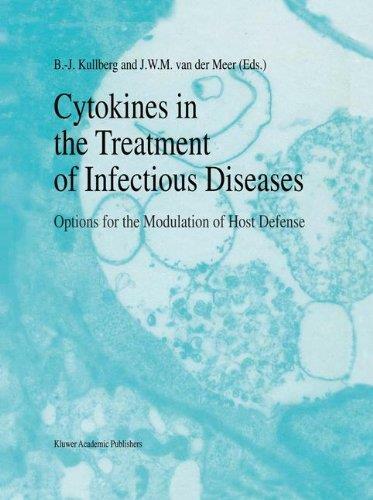 The identification of chemokines with suppressor activity on HIV replication and the discovery of co-receptor molecules for HIV entry. 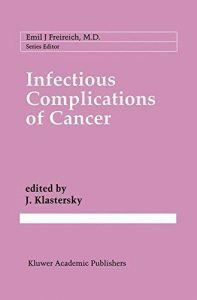 Medical error as defined in Epidemic of Medical Errors and Hospital-Acquired Infections: Systemic and Social Causes encompasses many categories including, but not limited to, medical error, hospital-acquired infections, medication errors, deaths from misdiagnosis, deaths from infectious diarrhea in nursing homes, surgical and post-operative complications, lethal blood clots in veins, and excessive radiation from CT scans. When the deaths from these categories are counted they become the leading cause of fatality to Americans, outpacing cancer and heart disease. Add the numbers of fatalities (mortality) to the millions each year who are injured (morbidity) and whose quality of life is forever effected, and an epidemic of harm is defined. 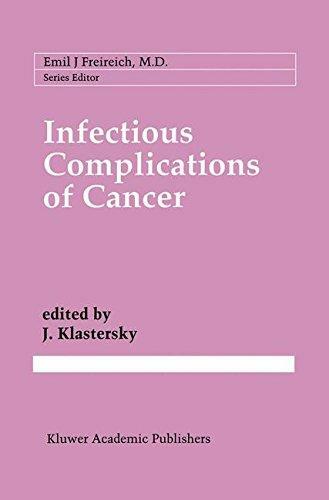 The book describes the many systemic and social causes of medical error and iatrogenic events, all of which are cited in the peer-review science, that have a direct effect on the epidemic of patient injury, but are rarely or never considered. These systemic causes include factory medicine (for-profit medicine), staffing ratios in clinical and non-clinical departments, shift work, healthcare working conditions, lack of accountability, legal issues that conflict with patient safety issues, bullying and hierarchical relationships, training of healthcare workers that never rises to the level of risk, and injury to healthcare workers. The premise of the book is that if the systemic or social causes are not considered or changed, then medical error will continue to be an epidemic and no substantial impact in the numbers will be realized. An expert with 30 years of experience as a health and safety officer in healthcare and as an activist for community health and safety issues, editor and author William Charney explores the issues surrounding medical errors and examines the science behind possible solutions. 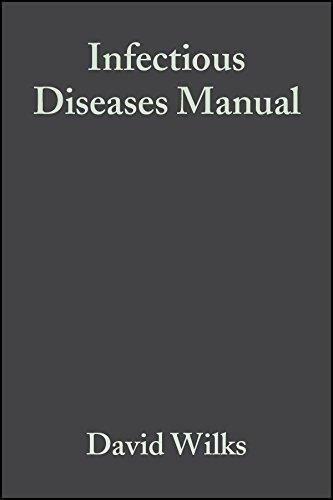 He presents an efficient dialogue that produces a more systemic exploration and targeting of the causes of medical error and drives an exacting message: we are dealing with an epidemic of harm, and unless systemic issues are solved, little will change to subdue the epidemic. 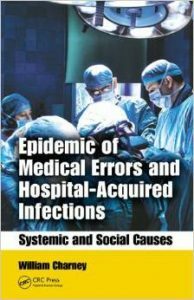 Information on the June 2012 Conference on the Epidemic of Medical Errors & Hospital Acquired Infections in the US and Canada: the Systemic Causes can be found on the CRC Press Issuu page.